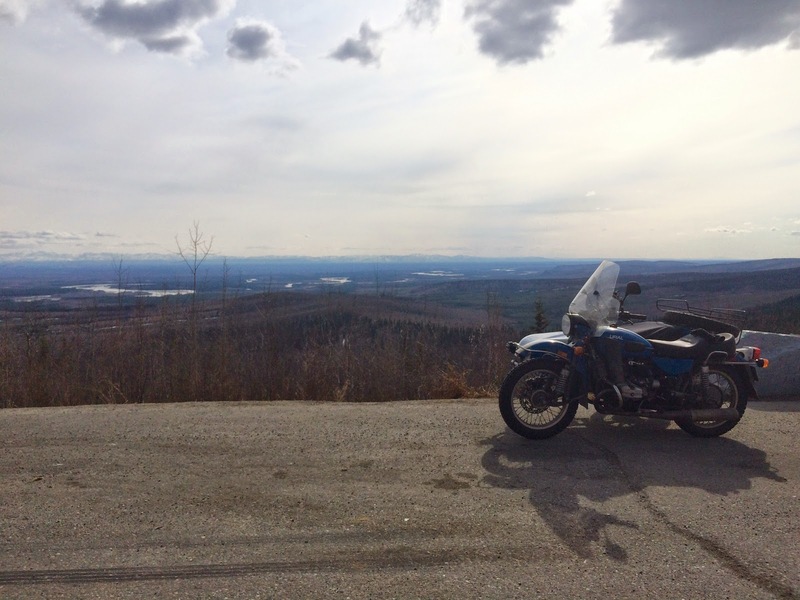 Richard's Page: "First Ride of the Season"
Today was the "official" first ride of the year for those on the Fairbanks BMW Google group. I usually forget to send out an announcement but this year I actually remembered. It is a very informal group but mostly made up of BMW owners or riders. This year, the other brands were represented by George on his V-Rod and my Ural. George suggested that I may need a 30 minute head start for the 40 mile ride. Temperatures were around 55°F and pretty sunny though it looked like it may rain later this evening. 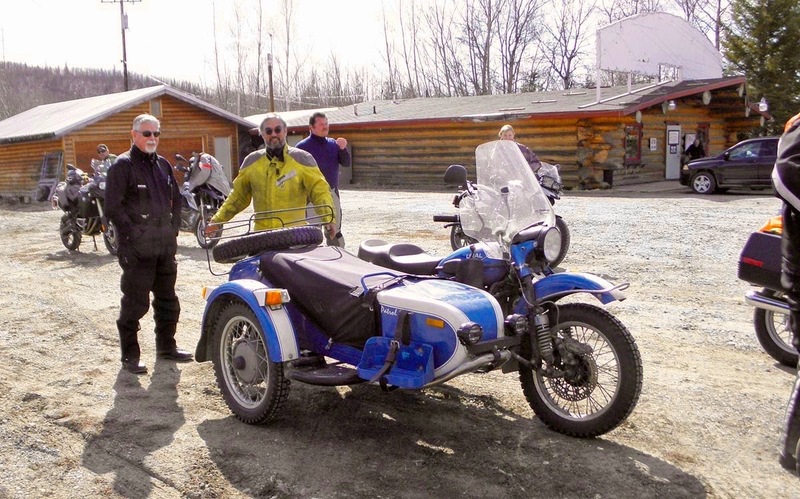 As is the "tradition", we rode out to the Monderosa Bar & Grill just north of the village/town of Nenana. I'm not sure of the exact number but I'm guessing that we had at least a dozen bikes ranging from an R60 through a brand new R1200RT with only a few hundred miles. Of course, the Ural was at the back of the group as it took nearly full throttle to maintain 55 mph for most of the trip. Maybe the 122 main jet is a bit on the small side plus the CHT were 400°F and higher while climbing the hills. A too high for comfort. Looks like the Russians finally got Alaska back... by way of Ural. Soon there will be herds of Russian hacks, slowly and steadily invading the Great White North. The person that I bought mine from when he thought that he didn't really need two, has since decided that he really did need two. He has picked up one in the midwest and is now riding it back to Fairbanks. A nice picture of you with the Ural!! Well, you should. Your flashy gear makes for a great contrast to the bike. So, with 80 miles round trip under your belt how does 3,000 one way start to sound? No problem. The Ural is easier to drive than the Beemer with the sidecar. In a couple of weeks, I'll be taking it down to Anchorage for the weekend. That'll be around 380 miles each way. And near the end of May, I'll do the same with a passenger. Nice pics from the ride. And I agree with Trobairitz, it's nice to see a pic with you and the Ural.